Novibet Casino is participating in Yggdrasil’s “Find the Golden Egg £70k Easter Promotion” which is running from today, the 17th of April, to the 22nd of April. This is a fantastic opportunity to cash in some extra spring money by simply playing on some selected Yggdrasil video slots! The total prize amount is £70,000 with the top prize of £2,000! 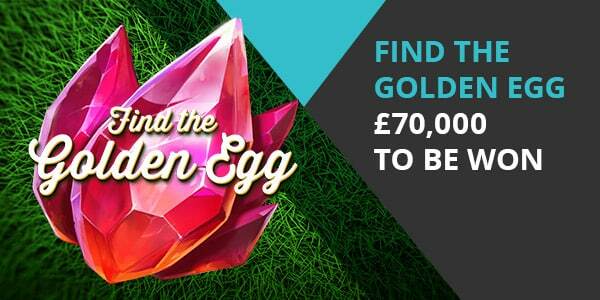 All you have to do is to OPT-IN to participate at Novibet Casino’s Golden Egg £70k Easter Promotion! How does the Golden Egg £70k Easter Promotion work? In order to participate, you obviously have to be a member of Novibet Casino. If you’re not already a member, click here and register your account. 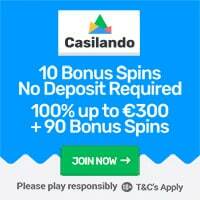 Once you have a Novibet Casino account, you need to make sure to have some real money credits in your account and place a bet of at least £1 per spin on one of the following selected Yggdrasil video slots: Champions of Rome, Dwarf Mine, Vikings Go Berzerk, Valley of the Gods or Easter Island during the promotional period. Important: One £1 per spin will give you 1 random Easter Egg. In order to get more random Easter Eggs you need to bet more that one spin. Click here and join Novibet Casino and get a First Deposit Bonus of 100% up to £250! What about the Golden Egg £70k Easter Promotion Prizes? – Prizes will be credited as cash and the remaining number of prizes will be updated every 60 seconds. – All prizes won will be automatically credited to the players’ accounts instantly. – Prizes will be paid out as per the prize pool tab or increased in case of double chance option. – The cash prizes do not have any wagering requirements. Click here and visit Novibet Casino and join the Golden Egg £70k Easter Promotion! Novibet Casino was established in 2010 and is one of the most popular online casino in the UK. The offer an excellent casino product that house more than 1,000 casino games from some of the best game vendors available includng Yggdrasil, Microgaming, NetEnt, Play’n GO, Williams Interactive, Tom Horn Gaming, PariPlay, Barcrest and many more. Novibet also offer a top-quality sports betting platform where punters can enjoy favorable odds on most sports events from all over the world. Novibet Casino is fully licensed by the UK Gambling Commission. Novibet Casino’s First Deposit Bonus for NEW members! – The minimum deposit is £10. – The maximum bonus that can be claimed is £250. – The wagering requirement for this bonus is 35 times your bonus and first deposit amount. – The offer is valid for all payment methods available in Novibet, apart from Neteller and Skrill. Click here and become a member of Novibet Casino and get a First Deposit Bonus of 100% up to £250!